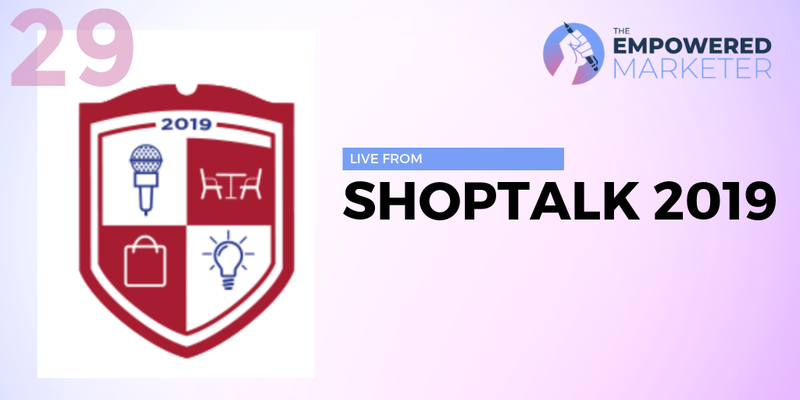 The Empowered Marketer was at Shoptalk 2019 in Las Vegas, along with more than 8,000 smart retailers and eCommerce experts. I was there with an eye out for trends, interesting new marketing ideas, and original observations. Whether you attended or just wish you could have made it, this very special episode of The Empowered Marketer is all Shoptalk, all the time. Hear insights from leaders at top brands, including Barneys, Modell’s, and Lily Pulitzer, as well as interviews with attendees and more. Here are the top strategic takeaways from Shoptalk 2019.